This examination is being given to fill one vacancy in the Emergency Services Division of the General Services Department, and one vacancy in the Public Health Services Department, and to establish an eligible list to fill future vacancies. Resumes will not be accepted in lieu of an application. A completed application must be postmarked or received online by the final filing deadline. The Emergency Planner position for the Emergency Services Division of General Services works under general supervision and is expected to be proficient in performing a variety of responsible and difficult assignments related to emergency services. The ideal candidate will have experience assisting with writing plans, policies and procedures for a County Emergency Operation Center, and knowledge of the responsibilities and functions of local, state and federal government related to emergency management and planning. Additionally, the ideal candidate will possess knowledge of the National Incident Management System (NIMS); Standardized Emergency Management System (SEMS); Incident Command System (ICS), WebEOC, and other relevant systems and programs including the Homeland Security Exercise and Evaluation Program (HSEEP). The Emergency Planner position for Public Health Services acts as the bridge between Public Health Services and the community on issues relating to public health emergency preparedness. In addition to presenting emergency preparedness topics to the public and community partners in a variety of ways, this position manages inventory and communication systems, and supports the review and update of public health emergency plans. Additionally, this position assists with developing, conducting, and evaluating drills, exercises, and trainings. Please note: Incumbents in both positions may work outside of normal working hours including weekends and holidays. Develops, writes, and maintains the County’s Multi-Hazard Emergency Plans and procedures by utilizing state and federal regulatory guidelines and requirements. Develops, maintains, and formats response plans, manuals, and team procedures to ensure proper response from emergency personnel and other agencies who may be involved in emergency events including hazardous materials team operations. Develops, coordinates, maintains records, and conducts training on emergency plans and procedures, Emergency Operations Center, Incident Command, and state certified response training.  Updates and maintains resource listings for individuals, equipment, and supplies needed for emergency team operations and other major emergencies in San Joaquin County. Responds to emergency incidents; uses protective emergency equipment; samples and identifies unknown substances. Education: Graduation from an accredited four year college or university with a major in public or business administration, emergency management, or closely related field. Experience: One year of experience in writing or implementing emergency plans, procedures, and policies for response to emergency incidents or disasters. Education: Sixty semester units from an accredited college or university of which at least six units must have been in public or business administration, emergency management or composition courses. Experience: Three years of experience in writing or implementing emergency plans, procedures, and policies for response to emergency incidents or disasters. Please note: Offer of employment is contingent upon passing a drug screening test. Basic principles of emergency planning; principles and practices of government operations, including organizational planning and analysis, disaster response procedures, and report writing; State and Federal laws; principles of effective oral and written communication. Apply principles, methods and techniques of public administration, management analysis, and statistics to the gathering, organizing, and analysis of data; train others; interpret laws and regulations; conduct risk assessments; work accurately and effectively under pressure; meet physical requirements; express oneself clearly and concisely, both orally and in writing; prepare comprehensive reports; establish and maintain effective working relationships with others; work with computers.